February is right around the corner, which means it’s time for a new “Ninja of the Month” release! This time around Shawnimals introduces Dumpling Ninja (an overdue ninja in our opinion)! 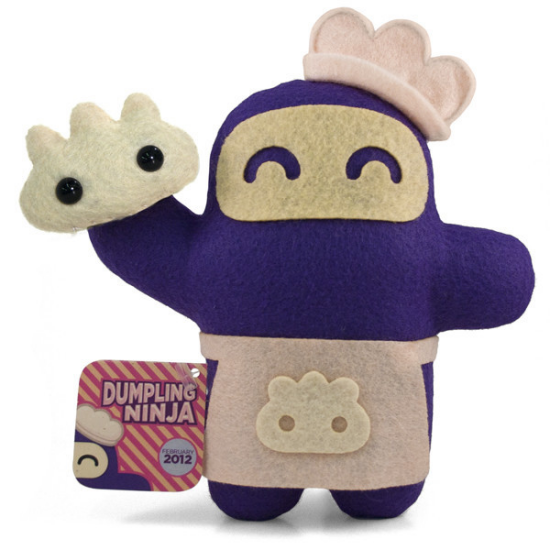 Dumpling Ninja is 7x7in and comes with an apron, hat, a Ninjatown-sized dumpling, matching pin, and sticker. This plush is limited to 100 signed/numbered piece and will be on sale for $30 USD starting on February 1, 2012, on the Shawnimals website.